Submitted by Alexander Briones on Aug. 21, 2018. First published on March 31, 2016. and most recently updated on August 21, 2018 by Alexander Briones and Jason Horton with contributions from Denise Azucena. Thanks to their ability to prevent sound from spilling into microphones, Closed back headphones, continue to be essential for any recording setup. Here we take a look at the what the market considers as the best closed-back headphones, updated August 2018. These are all circumaural (they cover your ears completely) and are designed specifically for use in recording rather than for standard consumer applications, although audiophiles will appreciate their high level of performance. Here are the best budget-friendly closed-back headphones, along with an even more affordable option. 89 out of 100. Incorporating 3300+ ratings and reviews. 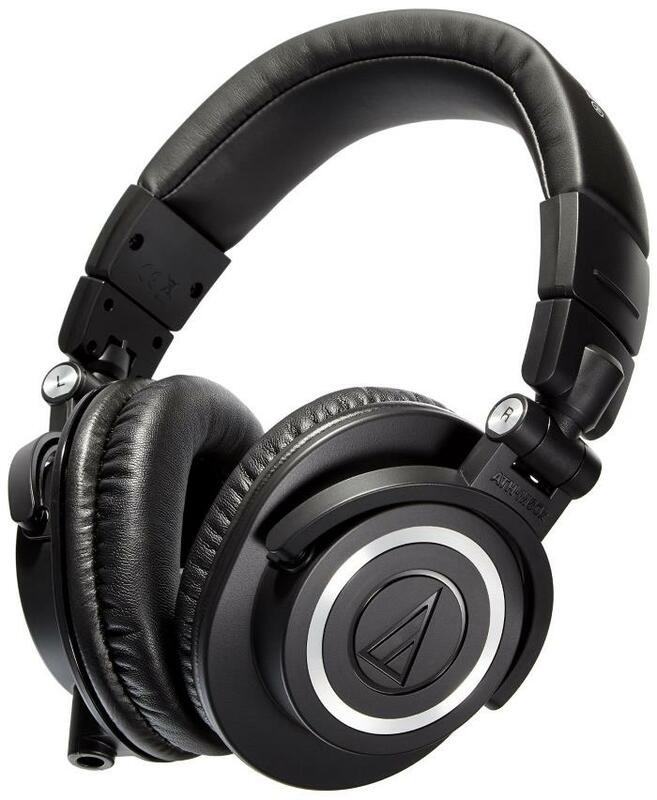 The Audio-Technica M series of headphones are designed for monitoring and also work well for tracking. The ear cups swivel allowing for one ear monitoring. Many owners say that these headphones produce a relatively flat response making them quite good for mixing as well as tracking. Several also report that they can wear them for several hours without getting sore ears. A few people reported that they broke more easily than expected - this appears to be a problem if you twist the cups in the wrong direction. In general customers report that these are excellent value for the price. If the price of these headphones is a little too high for you then check out the slightly lower spec'd but cheaper Audio-Technica ATH-M30x below. 92 out of 100. Incorporating 8200+ ratings and reviews. These have long been Sony's most popular budget headphones for both professional tracking and mixing and can be found in many home and professional recording studios. They're designed to be foldable and come with a soft case. The positive reviews are consistent in saying that they have a great flat response and produce a level high clarity when used for monitoring. They also report that they're a durable set of headphones. There were a few people who complained that the coiled cable can get tangled with itself into a knot which is hard to untangle. These have been the industry standard in this price range for many years so you can't really go wrong getting them for home or pro studio use. 88 out of 100. Incorporating 500+ ratings and reviews. The LyxPro HAS-10 is an affordable closed-back headphone with some nice features. 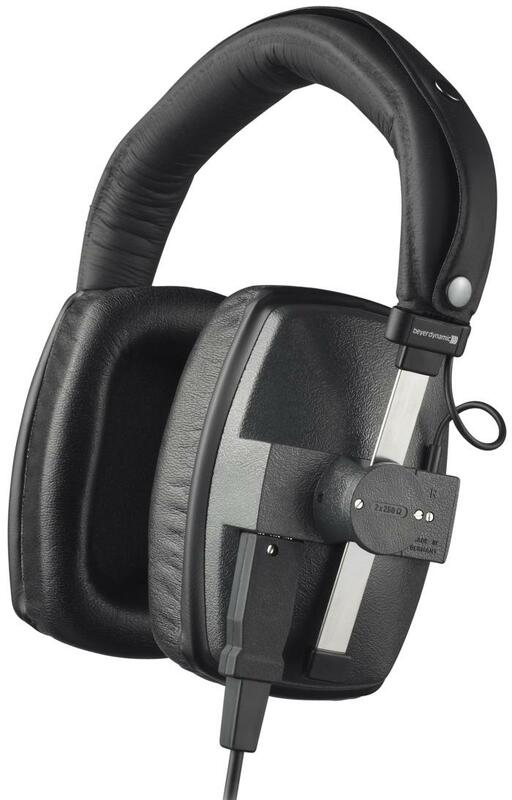 For the money, you are getting quite a lot of studio friendly features, including its NdFeB (Neodymium) Magnet system, 180 degree rotatable ear cups with aluminum ear shells, along with a leather headband and matching leather ear pads. Value for money is its most commended trait, exceeding the expectations of budget conscious users. Sound quality comes in close second, with many reports from users having improved listening experience. Being comfortable also got a number of thumbs up. As expected, those who have tried more expensive headphones are not as impressed with the LyxPro HAS-10 sound quality. There are also a few reports of build quality and reliability issues. If budget is limited, the LyxPro HAS-10 will get the job done as long as you handle with care. 92 out of 100. Incorporating 10000+ ratings and reviews. This is Audio-Technica's second appearance in our closed-back headphone guide - a testament to the high regard this brand's headphones have. The ATH-M50x has 45mm drivers and these help with providing a solid bass response without it being out of proportion to the mids and highs. Connectivity: 3 cables in total - Detachable 9.8' (3 m) straight and coiled cables + a single 3.9' (1.2 m) straight cable all with 1/8" plugs + a 1/4" screw-on adapter. 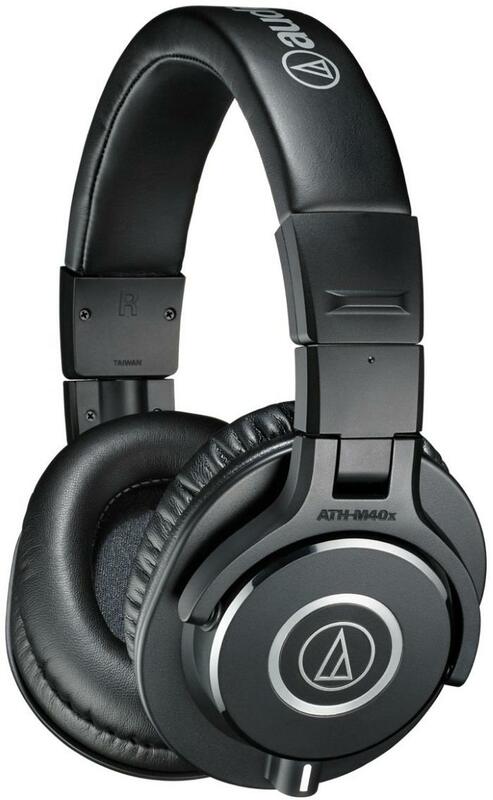 Expert reviewers, audio engineers, and regular home recording enthusiasts all praise the Audio-Technica ATH-M50x for sound quality and durability. Customer reviews also talk about them having a tight bass sound while having a realistic response for the mids and highs. A few people complained about the ear cups having fake leather, however this was also a feature that appealed to vegans. Some complained about the proprietary cord locking connector - this means you can't use a generic replacement cord. These are used for tracking and reference monitoring in professional studios and for complete monitoring and mastering and tracking in home studios. As you can see from the large number of rating sources we found, these are a very popular choice. 90 out of 100. Incorporating 500+ ratings and reviews. KRK are known to make high quality studio monitors. 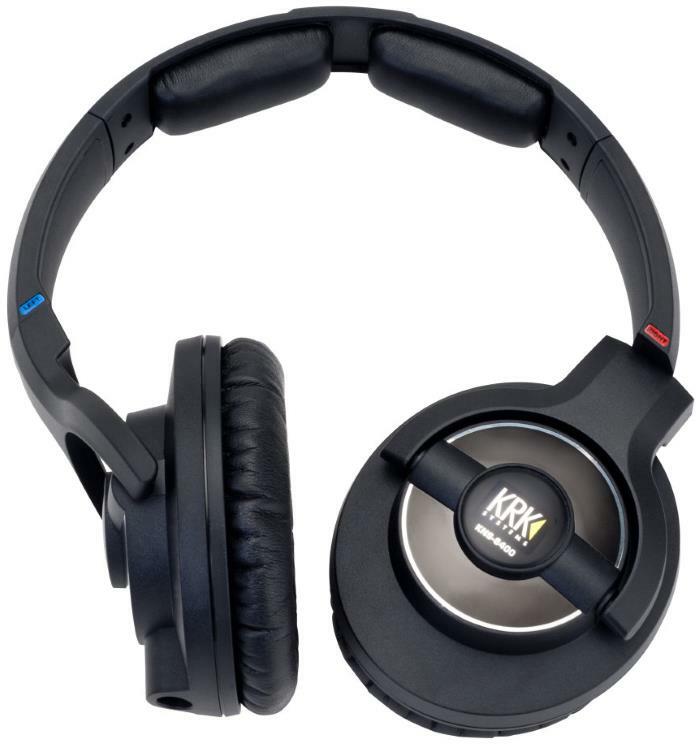 The KNS 8400 reference monitor headphones are designed with an accurate, natural and wide frequency response that gives a similar experience when recording and mixing using speakers. Their cushions have built-in memory foam that adds to the comfort factor when wearing headphones over long sessions of listening. These headphones exceeded expectations of many reviewers when it comes to reproducing sonic accuracy. They have a very flat response with neither harsh highs nor booming bass, making them great for listening and adjusting details in your mixes. In his Sound on Sound rerview, Sam Inglis mentioned that these headphones "also seem to mimic the tonal quality of some American monitors, with a very strong upper‑mid range. The low bass and extreme high end are certainly present, but it's the frequencies between about 1.5 and 4 kHz that jump out at you." Even with their closed-back construction, a few reviewers have used these for mixing because of its wide sound stage. Many users found these to be well-designed with very decent earpads and clamp force. There were a few concerns when it comes to the comfort factor due to their uneven padding on the headband. In these cases, users often replace the headband pads to make them more comfortable. These are very good monitor headphones worth the price. 93 out of 100. Incorporating 2750+ ratings and reviews. The DT 770 Pro series comes in 3 options: 32 Ohms for consumer use, 80 Ohms designed specifically for tracking in recording studios, and this 250 Ohms version designed specifically for mixing in recording studios. These are also used for tracking in addition to mixing and mastering, however if you're only going to use them for tracking then the slightly cheaper 80 Ohms version is a better choice. Connectivity: 3m coiled cable with a gold plated 1/8" plug and 1/4" adapter. 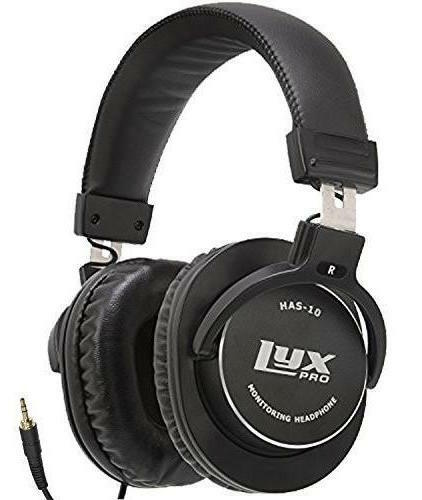 Many professional audio engineers say these are the best mixing headphones they've used, a claim supported by many home recording enthusiasts as well. Many customer reviews also say these are very comfortable with no ear fatigue after hours of continuous use. The sound accuracy and flat frequency response also get many positive comments. A few people complained about the fact the cord is not detachable, however few people said the cord needs replacing. Most of the complaints came from people identifying as consumers rather than recording enthusiasts and their complaints primarily centered around the lack of additional bass - this is something that is actually desired from a mixing point of view. These are one of the most popular set of headphones for mixing that I found when doing research for this gear guide. The Beyerdynamic DT 150 are studio headphones that offer good noise isolation for straightforward and professional monitoring, which are suitable for both loud environments and studios. Their neodymium magnets provide wide frequency response and extended bass response. The headband and earphone cushioning systems provide a comfortable design as well as serviceable and replaceable parts. When it comes to recording vocals or instruments, these headphones provide great sound isolation with only reports of minimal bleeding. A number of audio engineers who work on location say they just throw these in the bag without any concerns about damaging them as well as saying they reproduce clean and transparent highs and mids along with a very wide soundstage. A few reviewers mentioned they found the pads a bit too tight and that it takes some time to break them in. This can be compensated right away by installing velour pads. The bass response can sound a bit heavy and thick on some systems or songs, but still provide a fairly tight sound. These are ideal headphones for tracking, recording and live stage monitoring. 94 out of 100. Incorporating 1750+ ratings and reviews. Shure designed these specifically for audio engineers and musicians and they used carbon fiber and aluminum alloy in their construction. Shure have also included a pair of spare ear pads and a spare cable. 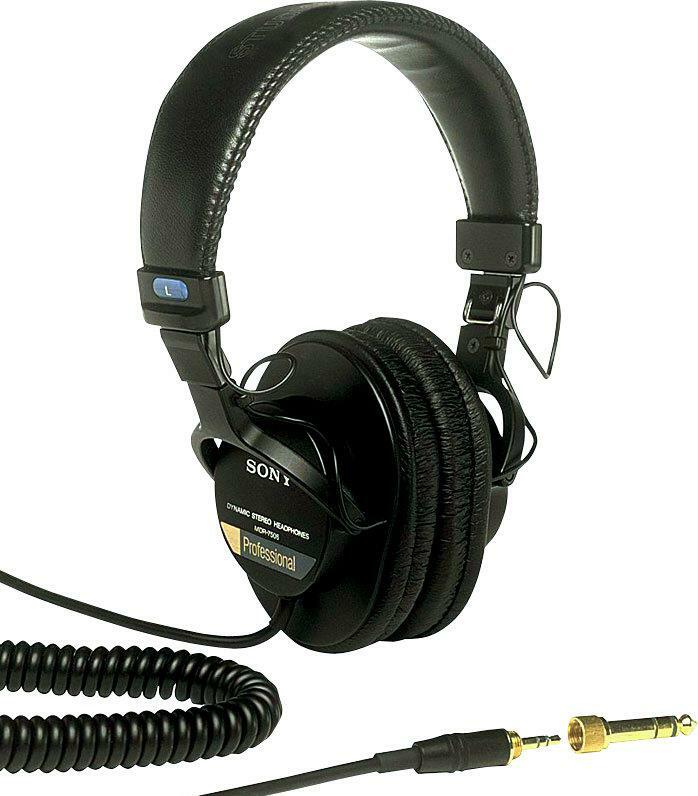 At the time of publication, these had the highest rating of all headphones eligible for inclusion in this guide. Connectivity: 2 detachable cables with a threaded 1/8" gold-plated plug and 1/4" adapter. Expert reviews and customer reviews are consistent in saying these are very comfortable to wear, produce sound with exceptional clarity, and have an excellent bass response. The build quality also gets positively mentioned many times in reviews. As you might expect with such a high Gearank score, there weren't many consistent complaints other than the high price tag. These are high-end premium headphones that will be too expensive for many home recording studios, but to quote Robbie Stamp from Future Music who gave them a 5 star rating, "It is often the case that you can't imagine better sound quality until you hear it, and the 1540s opened our ears to the possibilities". If money is no object then these are the headphones for you. When it comes to tracking, that is recording a new track while listening to a mix in your headphones, the best option is to go for closed-back headphones because they have the best sound isolation and prevent the mix you're listening to from spilling over into the live microphones you're recording with. 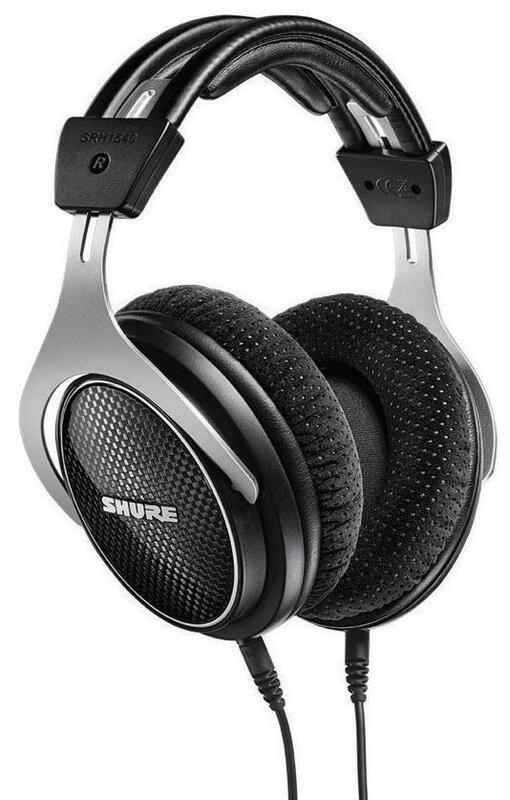 Although most experts agree that open-back headphones are best for monitoring and mixing in cases where you don't want to use studio monitors, advances in headphone technology in recent years means that some closed-back headphones can also perform reasonably well in this role meaning that getting a single set of closed-back headphones to use for both tracking and monitoring is a viable option if you're on a limited budget. This is a very subjective topic. If you are only going to be using your headphones for less than an hour at a time then you don't have to worry too much, but if you'll be using them for many hours continuously then you'll need to consider how comfortable a set of headphones are likely to be for you. In some cases manufacturers supply data on how much force the ear cups are pushed towards each other with, but the resulting pressure will be different on different heads and ears because pressure is a function of both the force and the resulting surface area of the cups on your head. Different weights also have different perceptions of comfort with different people. If there's a particular brand or design that's worked well for you in the past then choose something similar, otherwise read what other's have to say, or if possible try actually wearing a particular set before you buy them. This has become a bit of a controversial topic. Many professional headphones are said by some audio engineers and audiophiles that they don't sound their best when you first take them out of the box, and say you generally need to run them for 12 to 24 hours for the drivers to 'loosen up' to their optimum level for use. They say if you don't do this then you might find they sound a bit harsh during their first few hours of use. But some people completely disagree and others have a slightly more nuanced opinion. Our advice is to do it if you want to but it doesn't seem essential anymore - in any case they will become 'broken in' after using them for a while. For the 2018 update, we looked at the most current ratings and customer feedback for over 40 sets of closed-back headphones. The sources we gathered went over the 51,000 mark, all of which were then processed via the Gearank algorithm. We used the resulting scores to narrow down the list to just the cream of the crop in each of the price brackets above. For more information about our methods see How Gearank Works. Submitted by Adriana (not verified) on Apr. 12, 2016. Which open back headphones do you recommend for mixing? Submitted by Jason Horton on Apr. 12, 2016. We haven't analyzed open backed headphones yet, but we will do so in a future gear guide and we'll provide a link at the top of this page when it's done. Submitted by Kyle (not verified) on Mar. 30, 2017. Yo thanks for sharing your best closed-back studio monitoring headphones. The best closed-back mixing headphones for me are the Sennheiser HD 280 Pro because they perform incredibly well for their very cheap price tag. But if I have to make an unbiased choice, it would be the V-MODA Crossfade M-100. They don't have an online presence as strong as the Audio Technica ATH-50X or Sony MDR 7506, but these mixing headphones are impressive. I think they should be more popular than they are now. Submitted by Jonesy (not verified) on May. 23, 2017. I was under the impression mixing headphones need to be open-back headphones thus I am confused why you would even mention mixing here? Im not tryna be a d*** or anything, but I am actually trying to understand if there's something that I am msising or do not know yet. Submitted by Jason Horton on May. 23, 2017. We discussed this in the 'Things to Consider' section above, but I'll add a little to that. The best solution for mixing is using Studio Monitors. Next best is open-back headphones and we'll have a new guide covering this topic very soon. Then you have the option of using closed-back headphones which is an acceptable way to go if you're working on a limited budget because you can also use them for recording tracks. You generally shouldn't record tracks with open-back headphones due to the monitor mix spilling into the new tracks. You might also want closed-back if you're in an environment where you have to keep the noise down for others. Don't forget that technology moves forward - what may have been a 'hard rule' a few years ago is becoming a 'rule of thumb', and new developments might make it a non-issue in the future. Submitted by Jason Horton on Sep. 6, 2017. I forgot to post back at the time, but we did publish that new guide I mentioned: The Best Open-Back Headphones for Mixing and Mastering. Submitted by Jason Horton on Sep. 27, 2017. 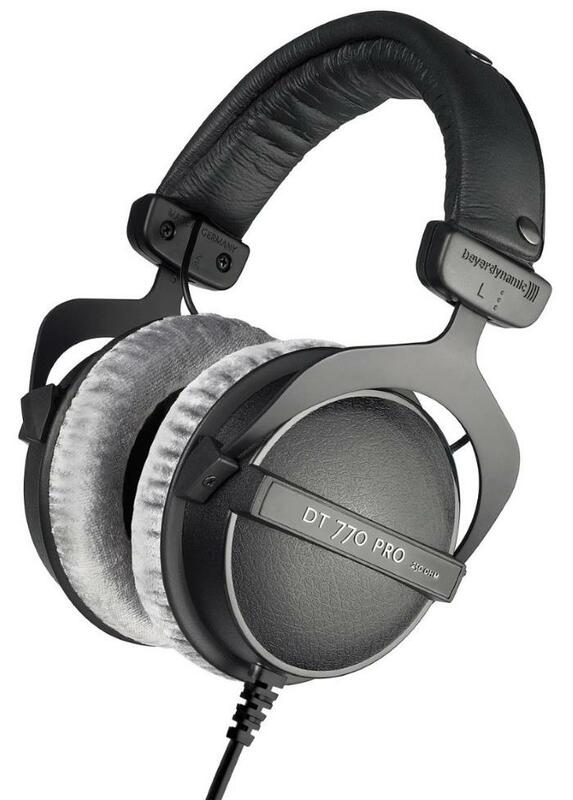 With today's update we have removed the Sennheiser HD 280 Pro headphones from this guide but we are still recommending them in our guide to Cheap Studio Headphones. Submitted by Frank Ciurca (not verified) on Jun. 11, 2018. Biggest issue for recording headphones are the small 1/8 in jack. The 1/4 in jacks work much better without the adapters. Submitted by Jason Horton on Aug. 24, 2018.